Dr.Hongsheng Lu joined Toyota InfoTechnology Center as a researcher in 2015 after receiving his doctorate degree in Computer Science and Engineering from the University of Notre Dame in the U.S. His research centersaround the connected vehicle technology which leverages wireless communications to improve the safety and intelligence of road users. His work on channel congestion control for the Dedicated Short Range Communication was recommended for industry usage. Dr. Lu is also very active in communication standard development for connected vehicles. He serves as the secretary to SAE (Society of Automotive Engineer) DSRC technical committee. He is a contributor to ETSI (European Telecommunication Standard Institute) Intelligent Transportation System working groups. 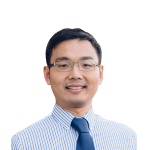 Dr. Lu is an invited reviewer to several IEEE journals and many international ITS related conferences.